[WND] Homosexual activists and religious freedom advocates both ramped up pressure on Brewer after the state’s Republican-led legislature approved the bill last week. Brewer said she made the decision she knew was right for her state. “I call them as I see them, despite the cheers or the boos from the crowd,” she said, calling the bill “broadly worded” and saying it could have unintended consequences. Brewer said she’d weighed the arguments on both sides. [InfoWars] The latest revelation concerning mass government spying confirms an issue that Infowars has been covering for close to a decade. British and American governments are spying on people in their own homes via web cams, laptop microphones and devices such as the X-box. The London Guardian has the details in a report based on information leaked by NSA whistleblower Edward Snowden. The British surveillance agency GCHQ, with help from the NSA, actively spied on nearly 2 million Yahoo users via webcams built into their computers. The documents show that the agency intercepted millions of images as part of a secret program codenamed OPTIC NERVE. Bro. Mike Patterson is improving and plans to be back on the road the second week of November. The doctor's applied electrical shocks to his heart twice to try to reset it to the right rhythm, but it did not stay in. He went into heart failure two times. The first week of October, his heart went back into rhythm in response to the prayers of their friends and supporters around the country, and it has stayed in the right rhythm since then. He has to see the cardiologist again the 7th of November, and, if all still looks well, the Patterson's will be back traveling again the second week of November. Couple discovers that Bible versions are copyrighted! A Mississippi couple has discovered first-hand one of the problems with modern Bible versions: they are copyrighted. They recently tried to get two verses copied for their Bible study group, when the copy store told them the verses represent copyrighted material and that they needed to get permission from the owner. 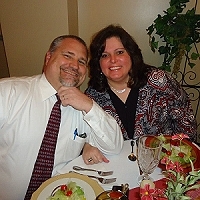 Victory Baptist Press wishes to express their deepest sympathy to the Jim Brown family. Dr. Brown passed away Monday morning while on a hunting trip in PA. The funeral services will be held at the Lighthouse Baptist Church in Theodore, AL. There will be a viewing Friday evening and the funeral will be on Saturday at 11:00. The family has asked that in lieu of flowers, friends may send a monetary donation to Mrs. Pat Brown to help her cover the funeral expenses. Your gift may be sent to Lighthouse Baptist Church, 6905 Nan Gray Rd, Theodore Al 36582, memo: Pat Brown. Source: Tim Fellure, Pastor, Victory Baptist Church, Milton, FL. 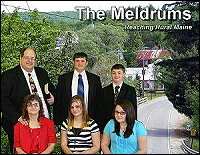 The Meldrum Family is working to plant a new church in rural Maine. Brother Ron Meldrum has pastored for twelve years in a rural Maine church and has been burdened for the hundreds of towns and thousands of souls with no Gospel witness. [InfoWars] Parents who complained over a boy who identifies as transgender being allowed to use the same public bathroom as their daughters at a Colorado high school have been threatened with police “monitoring” of their social media discussions. Parents of daughters attending Florence High School said they were threatened with hate crimes charges when they complained on behalf of their daughters over a boy who identifies as transgender being allowed to use the female bathroom. According to the Pacific Justice Institute, a conservative civil liberties organization, the school is now threatening families that their social media conversations about the issue are being monitored by police.